We assure fast and reliable delivery of flower and plants, both for florists who want to offer an outstanding service, and privates or companies who buy flowers for loved ones, offices or events. Packator strives to offer an outstanding service to you and your customers, with professional and friendly drivers and fast and reliable delivery. No matter if you bought flowers for a loved one or need some greenery in your office space, your restaurant or your event. Packator has you covered. Every year, around 8 billion euros are spent on flowers and plants in Germany. Statistically, this corresponds to about 100€ per capita. The market volume for flowers and plants has been more or less constant for years. Here too, however, digitisation is causing a shift in turnover. More and more people are buying flowers online. According to Bitkom, the proportion of people who have already bought flowers online has doubled between 2012 and 2016. This does not only affect the younger generation. 25% of people who buy flowers online are older than 65 years of age. A bouquet of flowers from the Internet offers a convenience for more and more customers who are willing to give up individuality. More and more people in the cities are giving up cars or have a car, but cannot find a parking space in front of the flower shop. This makes buying flowers uncomfortable and customers depend on delivery within the city. 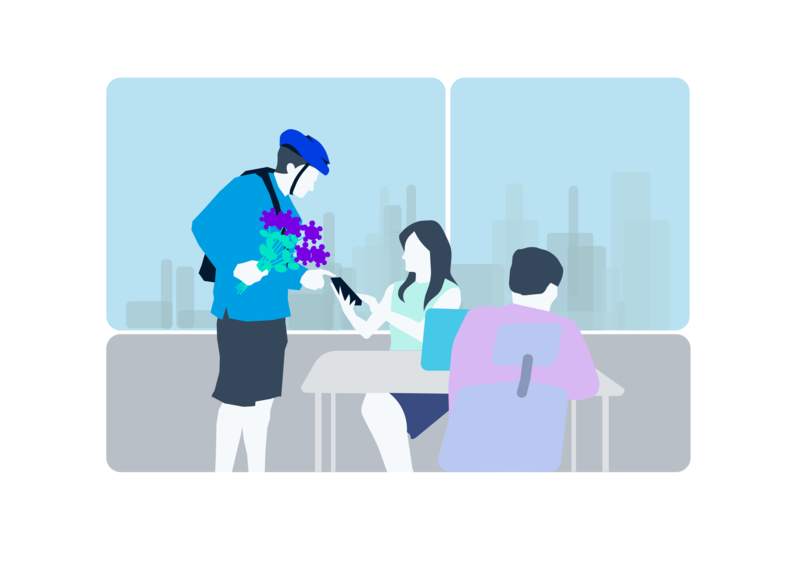 When placing an order, the customer accepts that they cannot choose the flowers themselves and has hardly any influence on the time of delivery. The stationary trade faces great challenges and no longer has to be differentiated from each other, but also from the Internet and discounters. In addition to a special quality of the flowers and plants, this also includes a corresponding service offering, which includes the delivery of flowers, for example. Our delivery service for flowers is the bridge between offline and online. We combine the advantages of both sides so that customers and dealers benefit from it. Through our delivery service, the customer can buy locally from a florist of their choice, select the best goods and assemble them according to his personal taste. The delivery is flexible in terms of time, can be made on demand and precise to the point and saves the customer annoying transport and interim storage problems. 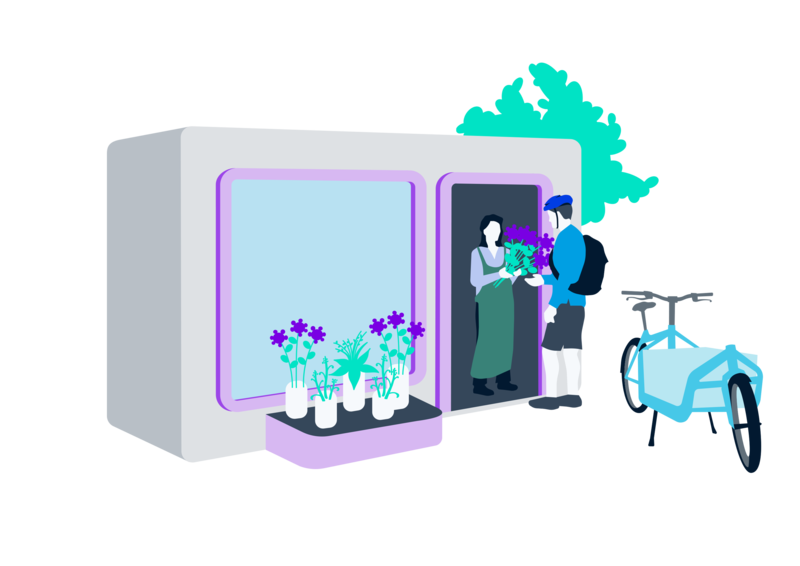 The delivery service for flowers and plants is more than just a measure to increase customer loyalty for the traders, but also enables them to reach new target groups. Many companies and organisations in the neighbourhood are looking forward to a delivery service for fresh flowers and plants.